Nothing sparks more conversation in parent circles than sleep — whether to co-sleep, whether to sleep train, and why the F won't this kid sleep through the night? But even after you're past those stages and your child is racking for reasonably long stretches, there are still kids who wake up really freaking early. Now, this might be OK if you're a morning person yourself — someone who's happy to bundle the baby into the stroller and take a brisk walk at dawn. But if you're a natural night-owl, the kind of person who can't even begin to wind down until midnight or so? Those 5AM wake-ups can wreak havoc on your mood, your health, your whole life. Sleep scientists call one's natural sleep schedule, the propensity to be a night person or an early riser, one's chronotype. To get an idea of how evening chronotype parents who have morning chronotype kids can survive, I spoke to Daniel Lewin, a psychologist, sleep specialist and the associate director of Sleep Medicine at Children's National Health System. Dr. Lewin tells me that a "mismatch" in chronotype between parents and children is something he sees fairly frequently in his clinic. Dr. Lewin first offers the most obvious solution: If one parent is a night-owl and the other is a lark, the morning person takes the early shift and the other the late. A friend of mine has a partner who is nearly nocturnal, so he handles all night wakings, midnight vomits, and early risings, and she takes over at around 6AM. I have also heard of people hiring early-morning babysitters — giving a caregiver a key to your home and paying them to be on duty from, say, 5AM to 8AM. It means some outlay of cash, of course, and also that babysitters willing to work that early live in your area. I also know some lucky people with nearby parents, so grandma comes over before dawn and supervises breakfast and the first shift of playtime. The early days with a newborn are all about mere survival, but parents still have some options. Dr. Lewin says, "In the first six months, babies are difficult to regulate, but young infants will conform to a parent's schedule when they sleep closer — either co-sleeping or in a nearby crib." You can also make subtle shifts to the feeding schedule to adjust the sleeping schedule: "After six months, an infant doesn't need to feed at night, so one of the first steps is to taper the amount of nutrition the child receives during the sleep period and then eliminate it, and so shift to feeding during the day. You can adjust the feeding schedule to what is optimal — for example a small healthy snack before bedtime (oatmeal or rice cereal) in addition to usual nursing or a bottle feeding." Napping is an important issue, Dr. Lewin says: "For the older infant and toddler, the timing of the afternoon nap is important" — if it's a little later, night-owl parents will get more time with their kids in the evening. "Cultures and families that that allow and prioritise napping will have later bedtimes and and less sleep at night." Night-owls will like the "later bedtimes" part of that instruction, but not if it doesn't go along with a later wake-up time in the morning. For shifting wake times later, Dr. Lewin says, "Parents can work on very subtle shifts in their child's schedule," like more light in the evenings and less in the morning, and more "activating" activities in the early evening. "Some children sleep-train easily and can adjust very well to parent's schedule." I know a few musician parents who kept their babies on their own nightlife schedules: very late sleeping (usually after an evening of gigging) and late waking. I started my own parenting life as a night-owl, so my first purchase when my son was born were blackout shades, which work reasonably well to this day for my four and seven-year-old. Unfortunately, there are kids who won't budge from their preferred sleep and wake times. "In some cases the child has a very fixed biological schedule — and that means the parent has to be the one to adjust," says Dr. Lewin. If you absolutely need at least seven hours of sleep to feel human, and your kid wakes at 5, that means a 10PM bedtime for you — which can feel positively punitive to parents who are just getting their second wind and enjoying some kid-free time. Dr. Lewin recommends starting by shifting your wake time earlier by 15 minutes per day — it's easier to change your waking time than your fall-asleep time. 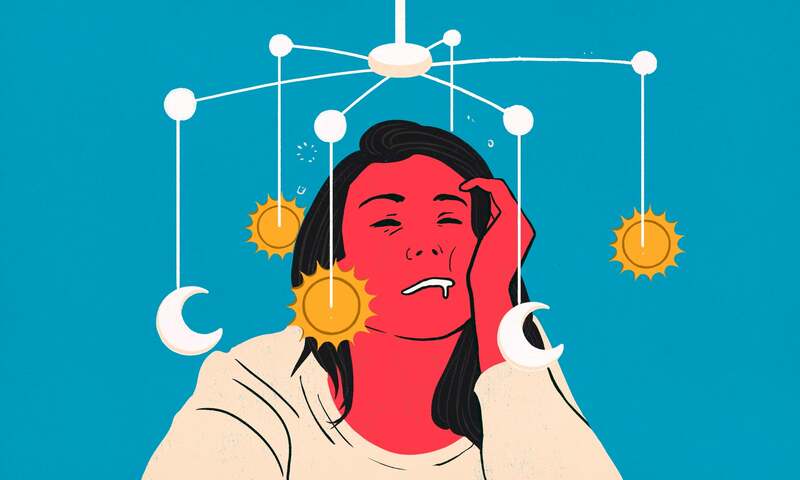 On the other end, he suggests taking one to five milligrams of melatonin (depending on the formulation), four to five hours before your target bedtime, to help push your sleep schedule forward. And "early morning light and decreased nighttime light exposure can help. Open the shades first thing in the morning." But the most important factor in modifying your chronotype, says Dr. Lewin, is regularity and persistence. "Don't 'reset' on the weekends. Try an experiment — for two weekends in a row, try waking within an hour of your weekday waking time." 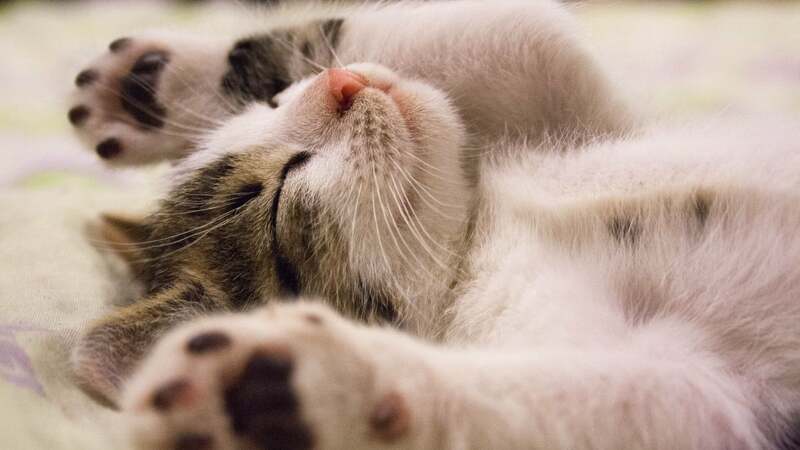 Sleeping in on the weekends will undo any progress you've made in adjusting your body clock. "If you shift your sleep schedule forward over the course of a week, you'll get an idea of whether you can maintain it." He suggests keeping a log of your routine and sleep (or your child's, if you're trying to shift her schedule later), and keep track of small changes you make with food, activities, caffeine, naps and screen time. "Monitoring is a powerful approach." I can personally attest that this is possible, but it takes patience. I managed to adjust my schedule from sleeping 12-8 to more like 10-6. But it took some months of persistence to feel not miserable about getting up at 6 and probably two or three years before I was actually happy about it. It might help that I became a mother relatively late in life: Dr. Lewin notes that a mismatch can be especially hard on younger parents because they tend to be owls rather than larks. After the infant and toddler years have passed — if you're still alive — your best bet might to teach your kids to stay in bed until a decent hour with a clock that changes colours when it's OK for them to get up. Ultimately, this is a game of patience: Someday your kid will adjust, or you will, or they will learn to take care of themselves in the mornings. And hey, with enough time, you might even find yourself wondering when your teen is finally going to wake up.